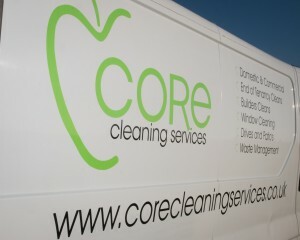 Core domestic cleaning services clean your home inside and out. Part of this service is window cleaning. Because we use telescopic poles and hoses which reach up to 72 feet it eliminates the use of ladders for all but the most inaccessible windows. Because we don’t need ladders we are able to drive straight to your home, and, using our self contained pressure unit, clean the windows quickly and safely. As well as windows, our cleaning equipment can easily clean hard to reach fascias, glass roofs, panelling, and cladding. Because our team work from the ground instead of climbing ladders, riding cherry-pickers or using cradles, our window cleaning services are incredibly safe, having eliminated the danger of people working overhead. As well as being safe, the process is much quicker too. Our technique uses products that clean the glass, which then dries without leaving smears, or residue. Without the need to squeegee the windows our process cuts a huge amount of the time cleaning windows takes. This means less disruption for you and, because the job is quicker, it is also cheaper. 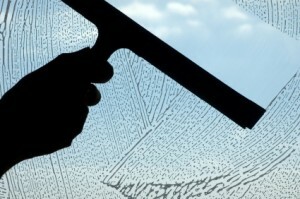 Cleaning windows from the ground is also more discrete, preserves your privacy and prevents disturbance and disruption. No matter the size of your home, whether you’re surrounded by walls, hedges or a lawn, we are able to clean windows up to eight floors high. 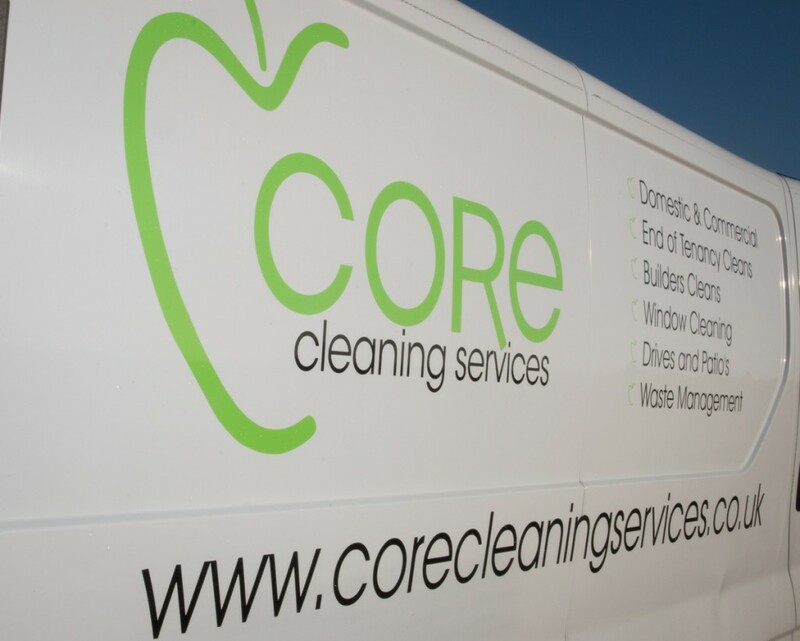 Core Cleaning Services believe in being low chemical, this means that we avoid using any unnecessary, environmentally harmful products when we clean your windows. As well as being better for the environment, we believe that our policy is good for you as there is no chemical residue left on your windows, and it keeps costs down too, savings which we pass on to you. But rest assured, we don’t scrimp on quality. All of our window cleaners are fully trained in the latest techniques and safe, efficient use of the equipment that we use, meaning that the windows at the top of your home are just as clean as those which are the easiest to reach.